Edition 4.5 416 pp. by John Orban. “This is new and comprehensive. Gives real-world practical information (not theory). “ . . . the book I should have had when I took a job in Phillips legal department ... I read everything I could get my hands on, even went to law school. “If you're an investor thinking about gas and oil . 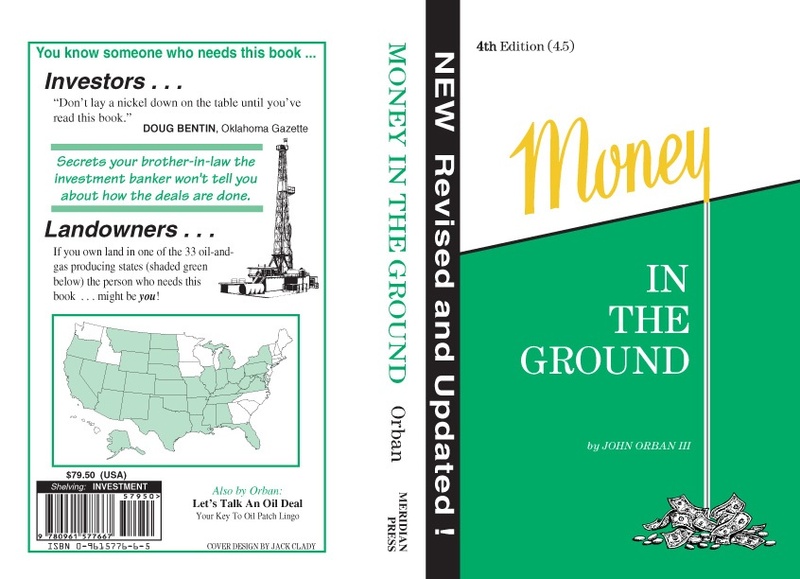 . . you must get MONEY IN THE GROUND . . . as expert and as comprehensive a book on the subject as you will ever find." Vice President - Sales, XXCAL Inc.
President, Royalty Information Systems, Inc.
To go directly to our online store, click this link!